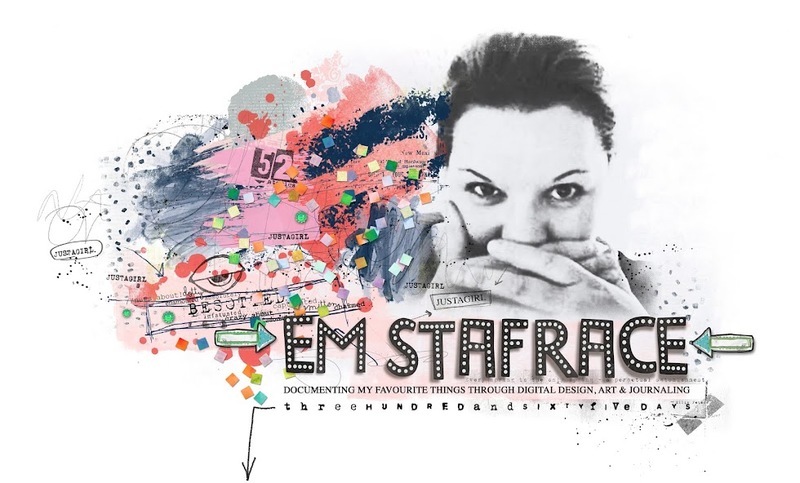 Em Stafrace| Just a Girl with Ideas: WINNING SMILE! 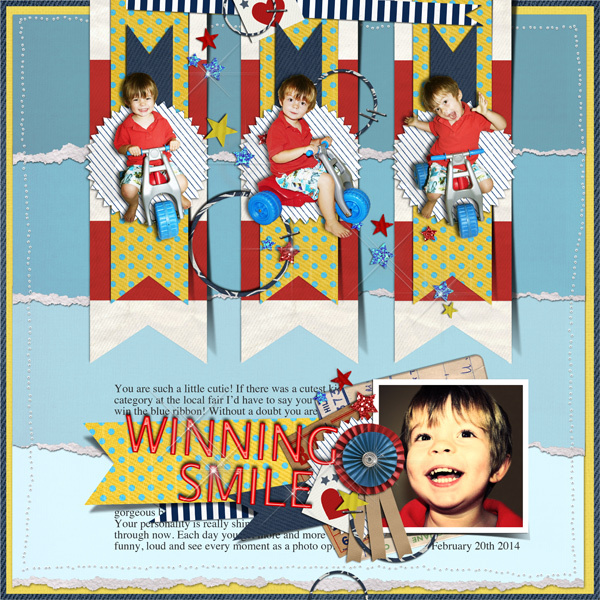 The new Scrapbook Creations Magazine Issue #105 is out now and its filled to the brim with lots of fabulous techniques. In this issue the Design Diva's are the guest editors and wow what a fantastic job the ladies did. I am loving all the tips and tricks and so many inspirational projects fill the pages, lets say it had me all motivated to pull out my Gelli plate and make a few backgrounds ready to be digitised he he. My regular feature in SC Mag, Digital Masterclass... is a goodin this issue. It's called 'A whole lot of style' and looks at dressing up your photos, elements and text using digital styles and actions. 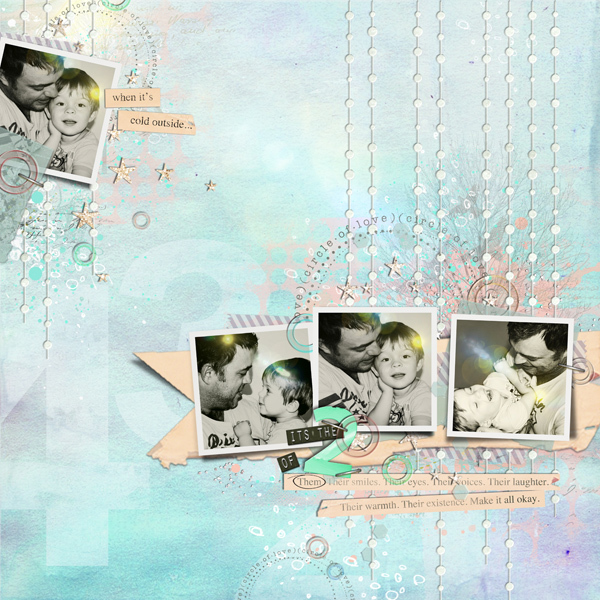 Well worth a look if you are wanting to learn more about how to customise and personalise your digital scrap pages. Below is the sample page showcasing only a fraction of the plethora of styles and actions you can purchase or download for free. 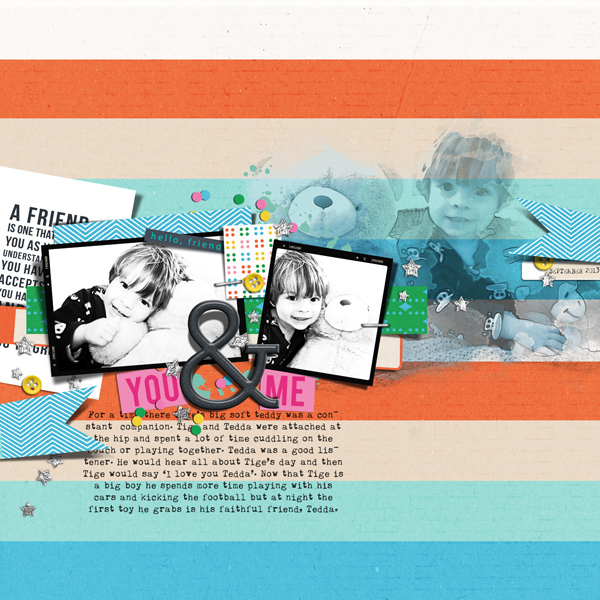 The next two pages are my DT pages for Scrapbook Creations Colour Expert Feature. Captivated Visions| Today is a Struggle Value Bundle, It's my Journey Elements and Ephemera Pack and You Are Worth It [Elements & Ephemera] Pack. 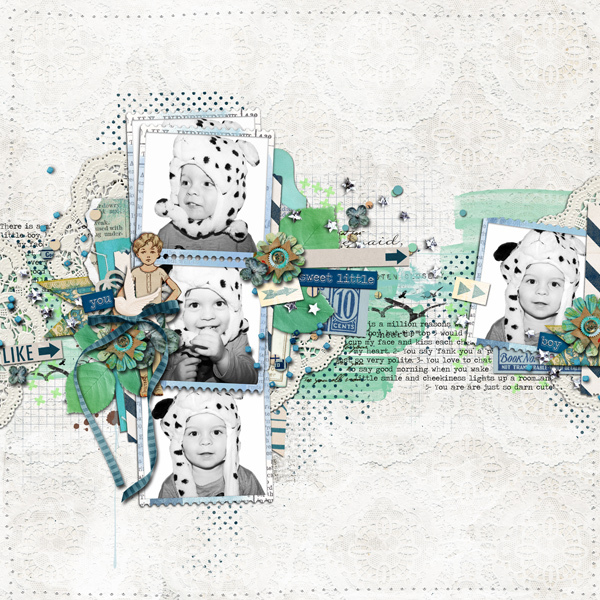 I also thought I'd share my latest creative team projects for Sahlin Studio using the fabulous new June BYOC bundle thats for sale over at The Lilypad. So thats it for this week. Thank you for stopping by and happy scrapping! Wow, wow, wow!!!!!!! 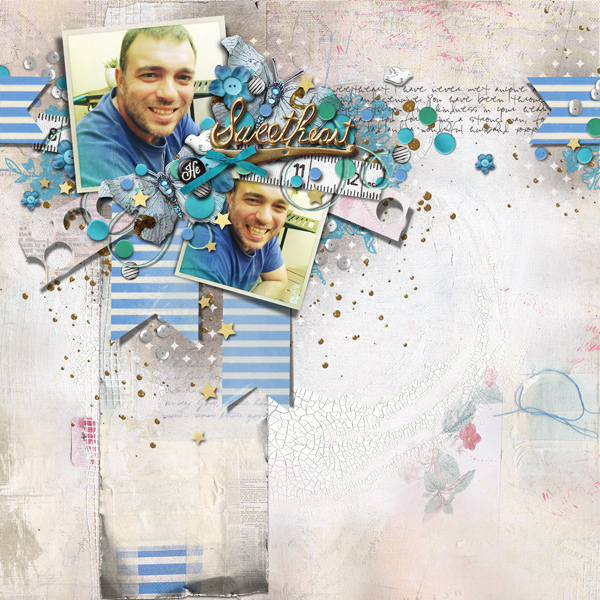 You are one of the best scrapbook artists in the world!!!!!! ♥ LOVE all of your pages! Wow these are amazing, love them.. well done on your mag feature too! 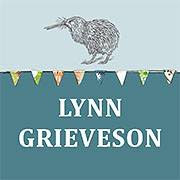 Popping over here from Sue's blog post, looking forward to reading yours next week. 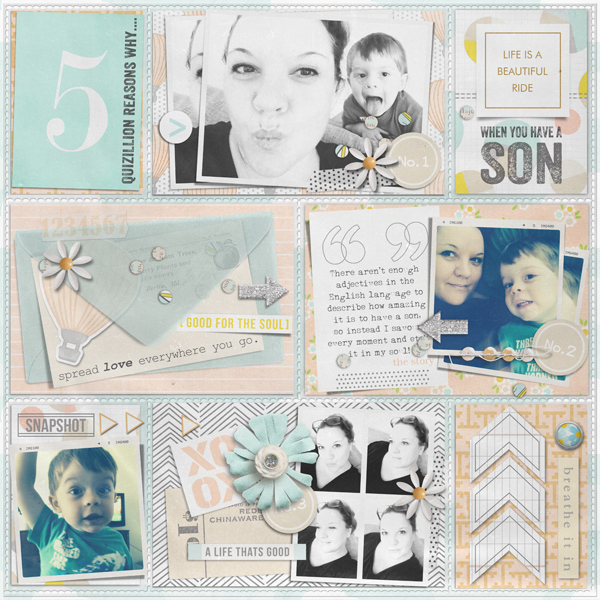 Such amazing layouts, I do admire your style & even more so that you've created this digitally...I'm in awe!